Find out which package is right for your business. Umbrella analyzes data to identify patterns, detect anomalies and create models to predict if a domain or IP is likely malicious. Automatically correlate data and block attacks. 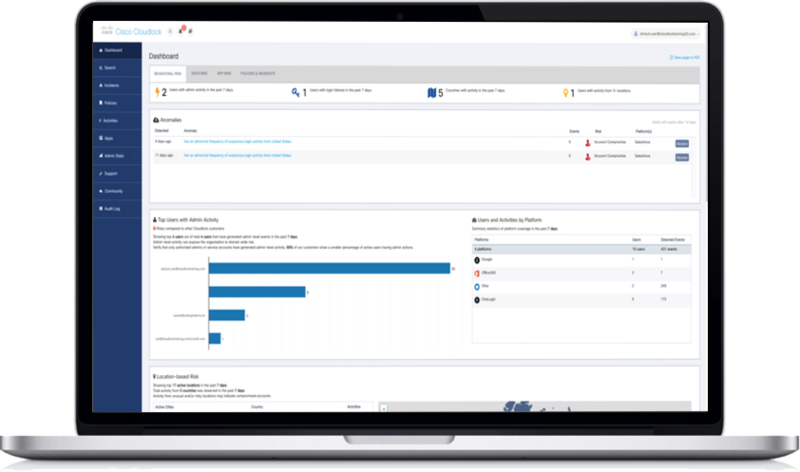 Using your Cisco footprint — SD-WAN, ISR 1K and 4K, Meraki MR, and WLAN, provision protection across hundreds of network devices in one click. Implement powerful security without operational complexity. 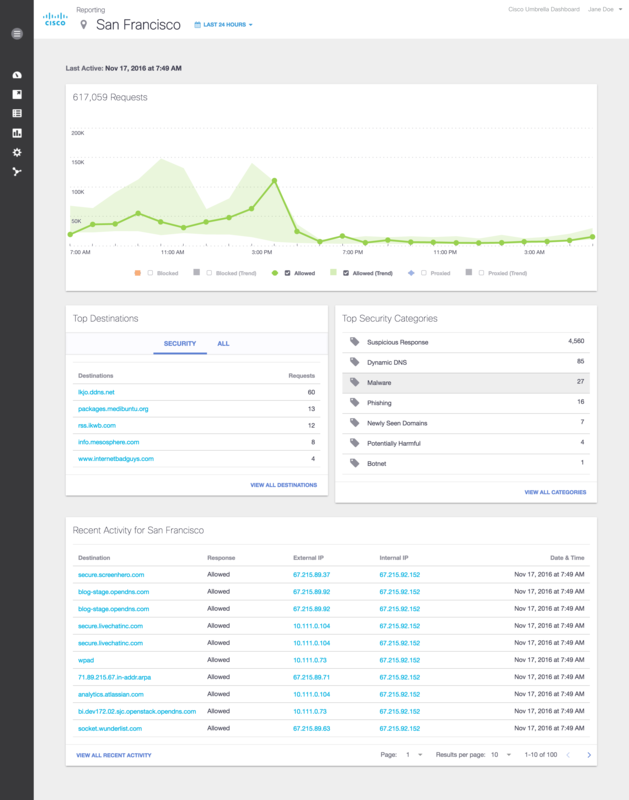 The Umbrella dashboard provides both central and local administration and reporting. Effectively create and manage policies, even for complex organizations. Umbrella’s API enables you to integrate with your existing solutions to amplify protection. Automatically enrich the data in your SIEM, threat intelligence platform, or incident workflow to speed up investigation and response by security analysts. 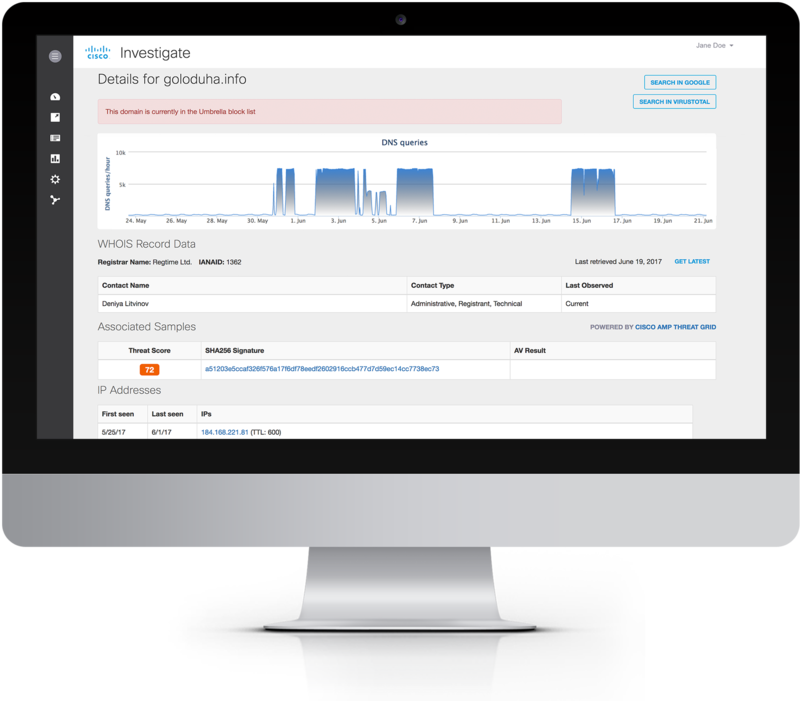 Leverage our intelligence about malicious domains, IPs, and file hashes to enhance your security event data. 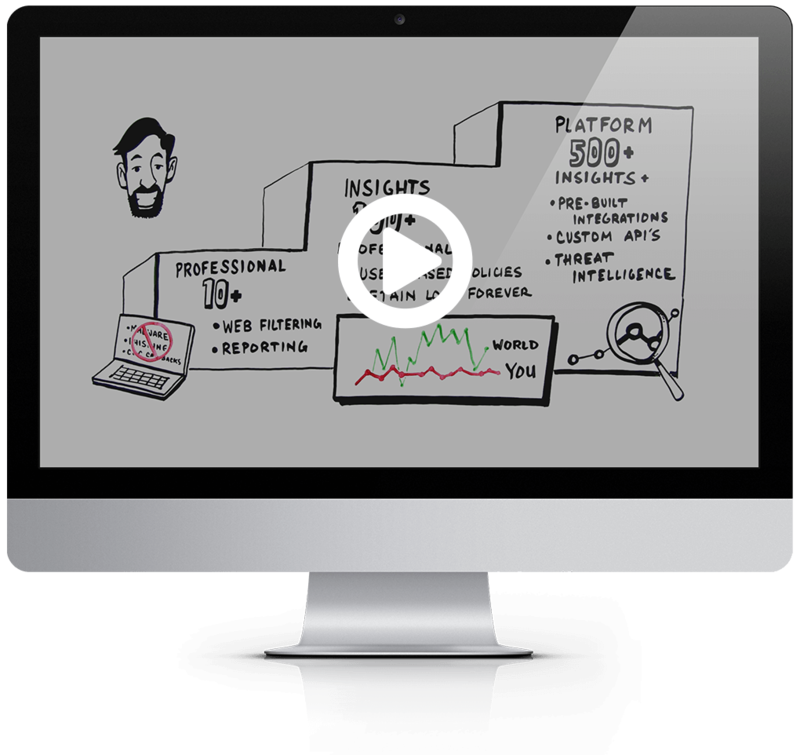 Better prioritize incident response and speed up investigations. I like the ease of use and the threat intelligence. We do a lot of research on our attack vectors, analyzing phishing emails, and anomalous events. Nine times out of 10 Cisco Umbrella is already blocking identified malicious domains. 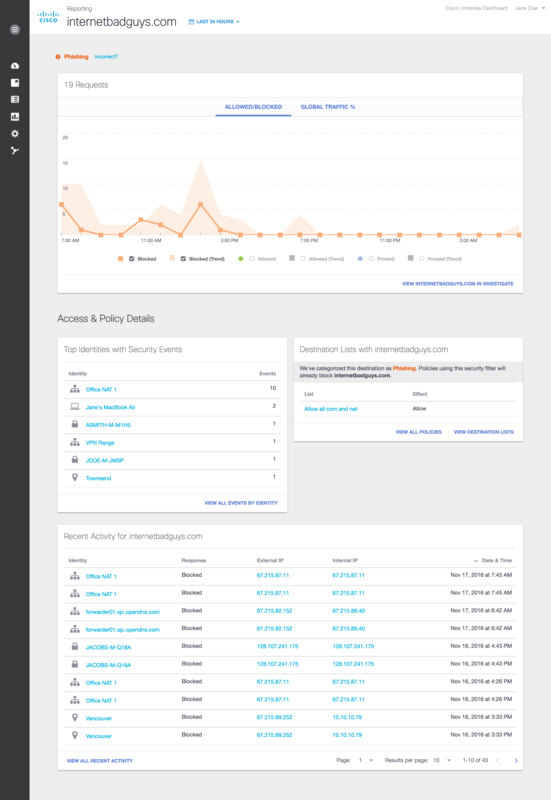 Cloudlock is a cloud-native CASB (Cloud Access Security Broker) that helps accelerate use of the cloud. 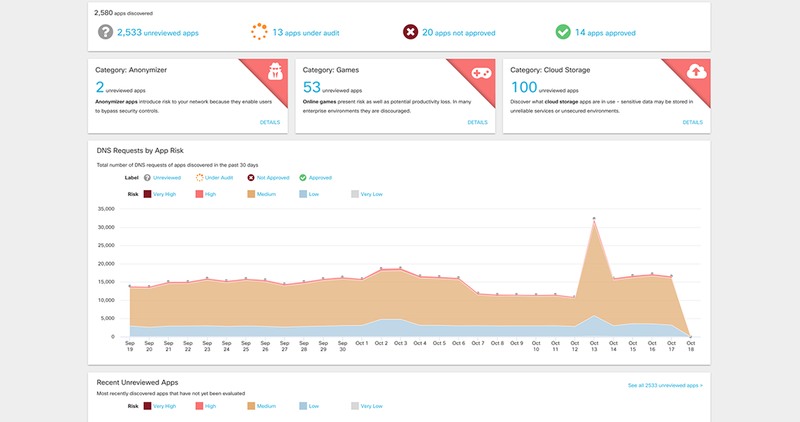 Cloudlock secures your cloud identities, data, and apps, combating account compromises, data breaches, and cloud app ecosystem risks, while facilitating compliance through a simple, open, and automated API-driven approach.